Sephora VIBs can now shop the Sephora Holiday Sales Event! Save 20% off your entire purchase in-store and online! Enter the promo code 20VIB at checkout or show your Sephora VIB card in-store to get the discount. Offer is valid November 11-14, 2016. 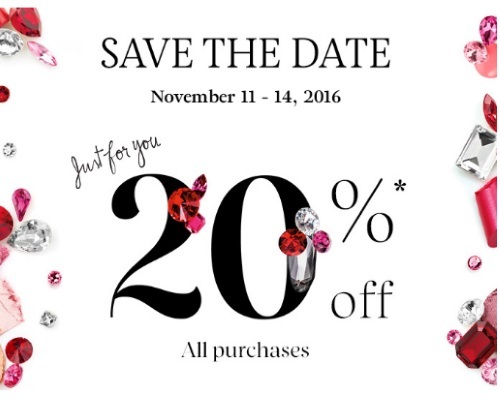 If you are VIB Rouge your event was last week from November 4-7, 2016 (that's the event that I shopped). If you are just a Beauty Insider there is no discount for that level this time around, but there is usually a promo code in December, so keep your eyes peeled for that one coming up!